1914-2014: Celebrating the End of an Error! 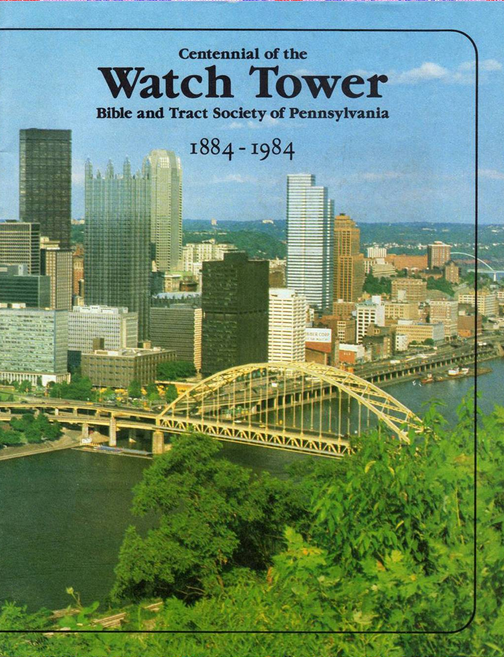 In 1979, the Watch Tower Bible and Tract Society* celebrated the 100-year anniversary of the Watchtower magazine, which was first published in July 1879 as “Zion’s Watch Tower and Herald of Christ’s Presence.” In 1984, the Watch Tower Society celebrated the 100-year anniversary of the charter of the Watch Tower Society itself. The following links (to jw.org) are examples of this kind of emphasis since the beginning of 2014. Many of us with years of experience among Jehovah’s Witnesses have yet another reason to celebrate 2014. Primarily, we’re celebrating Truth — finding “pleasure in truth.” Isn’t that what had attracted us to Jehovah’s Witnesses in the first place? It should become clear to anyone who spends much time looking at the research that has been reproduced, referenced and presented on these pages that the 1914 teaching was simply a mistake. So exactly why would we celebrate? Are we gloating? For most of us, we are happy with the demise of the 1914 teaching because it corrects an error. And correcting an error is always a good thing. Researching and studying about 1914 was, in fact, quite painful at first for some of those whose experience are available here. But it was a step to real progress. Many of us now have a much better understanding of the Bible, and we are now more conscious of our spiritual needs. We feel more empathy and better understand one another, especially those who, like ourselves, had found ourselves defending belief systems that required continual change and correction over time. And this empathy has often included our own families, friends and loved ones. For many of us, it was specifically the deep and sincere research into the 1914 doctrine that ultimately produced the proper humility that allowed us to make greater progress in our continued quest for truth. But wait! Aren’t we getting ahead of ourselves? Many readers of this article will surely think that the Watchtower’s celebration of this 100th Anniversary is just evidence that the 1914 teaching is not going away any time soon. 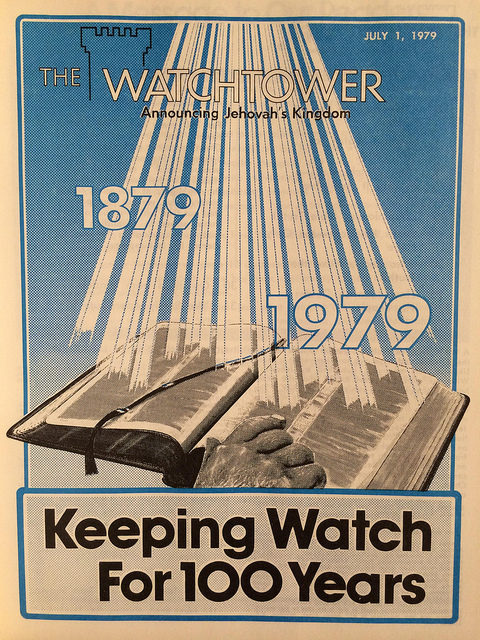 Why are we acting like this anniversary is somehow a “death knell” for the Watchtower’s traditional 1914 doctrine? 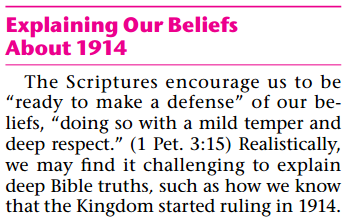 Any JW who has ever tried to seriously defend the 1914 doctrine has likely already discovered that there is no Biblical or secular evidence for pointing to that specific date. Worse than that, there are dozens of lines of evidence against it. (If you get to the level of studying the pivotal 607 BCE date, it turns out that there are literally tens of thousands of pieces of evidence against it. We might have thought that date was set in stone, and as it turns out, the very stones [link] cry out against it.) Every single claim about the doctrine turns out to be problematic from a doctrinal perspective. Defending it creates insurmountable contradictions, and this is something that many Witnesses have had to keep to themselves. Most, but not all, Jehovah’s Witnesses who write for the Watch Tower publications believe the 1914 teaching, and some “cracks” have already showing up in the publications. Even for those who still believe it, however, the renewed focus has clearly created some awkward discoveries. Claims that once appeared regularly in Watch Tower publications have almost disappeared, replaced with reworded claims that make it clear the writer discovered the problem with old claim. Even some of the more recent doctrinal changes in just the last couple of years provide additional indications that Watch Tower writers have begun to see how the doctrine creates contradictions. Luke 9:21 indicates the perils for a “man who has put his hand to a plow and looks at the things behind.” If you’ve ever tried to plow (or mow a lawn, at least) while continually looking back at where you’ve been, you will find that the lines aren’t straight. The Watch Tower’s own writers are looking back and finding out that the lines aren’t straight. 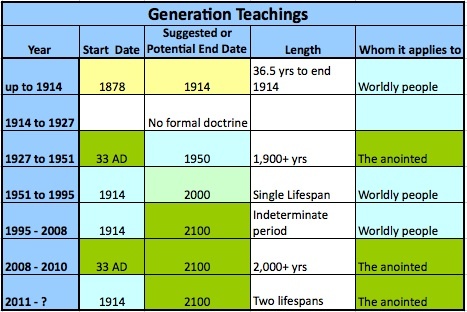 Most of us, whether JWs, ex-JWs, or non-JWs, already understand implicitly that the current 1914 teaching can’t last forever with world conditions going as they have been for the last hundred years. The teaching has already required adjustment in several ways, and it would be impossible to continue the current teaching without additional changes in the next couple of decades. The doctrine is like a sinking millstone. It can’t remain afloat. Remember this famous graphic from the 1968 “Truth Book”? Someone (on another website) produced an updated version based on the 2010 “clarification” of the meaning of “that generation.” The image indicates, graphically, why there is very little room — or appetite — for further adjustments. If anyone isn’t up-to-date with some of these more recent changes to the “generation” doctrine, it’s also discussed here. That desire — that pleasure, that eagerness of mind — to “carefully examine” and “make sure” will be clear to anyone looking at those many experiences that many have shared here on this site. And if you have never seen Carl Olof Jonsson’s most comprehensive book, Gentile Times Reconsidered, take a quick look at the book here and you will surely be impressed at the level of research and scholarship. There’s another good reason to celebrate, and it’s in a more serious vein. We are all aware of how the Watchtower magazine often “celebrates” the lives of those persons in history who sacrificed much for the sake of truth and for the sake of their faith. The parallels between experiences posted on this site and “16th-Century Truth Seekers” will likely seem quite unexpected to many Witnesses. We’ve included a short post about the Watchtower’s article on Thomas Emlyn, for example, because the similarities to the experience of Witnesses who studied the 1914 teaching are really quite amazing. We’re celebrating the lives and experiences of many who suffered the consequences of speaking and writing honestly about their research. We have made an entire section devoted to such experiences and expect to add several more over the coming months. Another way we’ll celebrate is by highlighting some of the excellent work and research that has been done to promote the truth about this matter. Some of that research has been contributed to this site, and much more will be referenced from a special section of the site: Websites, videos, books and discussions. And for those with a strong historical or scholarly interest in the development of the doctrine, we’ll also will continue to add material to the section titled: Analysis of the1914 Teaching – Biblical, Secular, Historical. Everyone can get a better understanding of the historical development of the doctrine and the religious organization itself and therefore more empathy for people who are confused by it or object to it. The included experiences should help Witnesses and ex-Witnesses understand each other better, especially those who might now find themselves in “estranged” circumstances. Witnesses and ex-Witnesses alike often find themselves believing they are “on their own” when doubts or concerns arise. Hopefully this site will show otherwise, and encourage discussion with an entire community of persons who would gladly offer support and encouragement. Truth doesn’t always lead to peace, but where both sides give truth a chance, it can offer the most stable basis for peace, understanding, empathy and love. Who could ask for anything more?